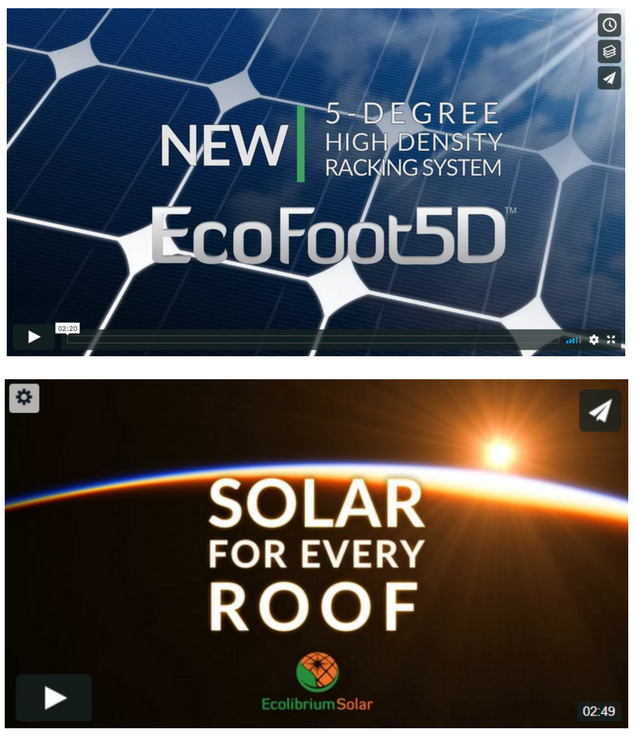 Ecolibrium Solar has produced two videos to detail the benefits of its EcoFoot Flat-roof Racking System and EcoX Rail-less Racking System. Click on the links to watch the latest in Ecolibrium Solar's Simple Racking Solutions. See how simple it is to get 18.4% more power with the New High Density EcoFoot5D 5-Degree Ballasted Racking System. Click here: https://vimeo.com/233909011.